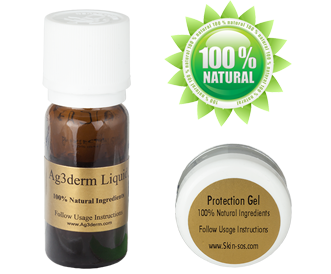 Ag3derm seborrheic keratosis removal kit is safe & effective with 100% natural ingredients and only requires daily treatments at home for up to 14 days. There are many seborrheic keratosis removal methods available such as home remedies like using herbal extracts or, treatments involving liquid nitrogen or surgical removal by a doctor. If you are looking for a painless, quick, easy, 100% natural & scar free way to remove your keratoses then this product is the right one for you!